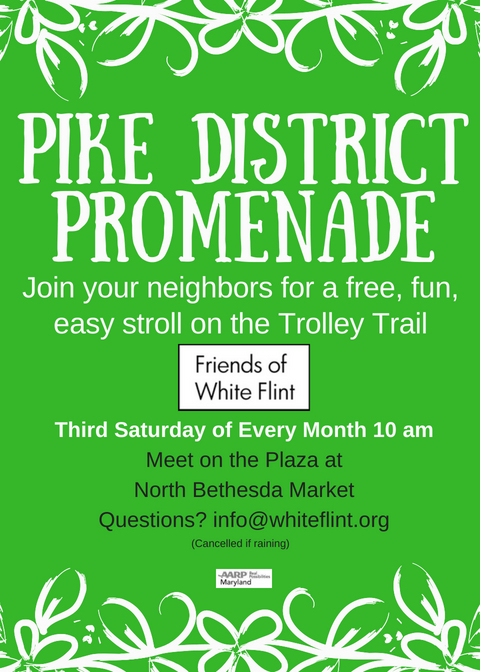 Want to serve on the White Flint Downtown Advisory Committee? Comments Off on Want to serve on the White Flint Downtown Advisory Committee? Tomorrow is meeting day, apparently. First, the White Flint Downtown Advisory Committee meets at 8 am on September 5 at Snyder Cohn. 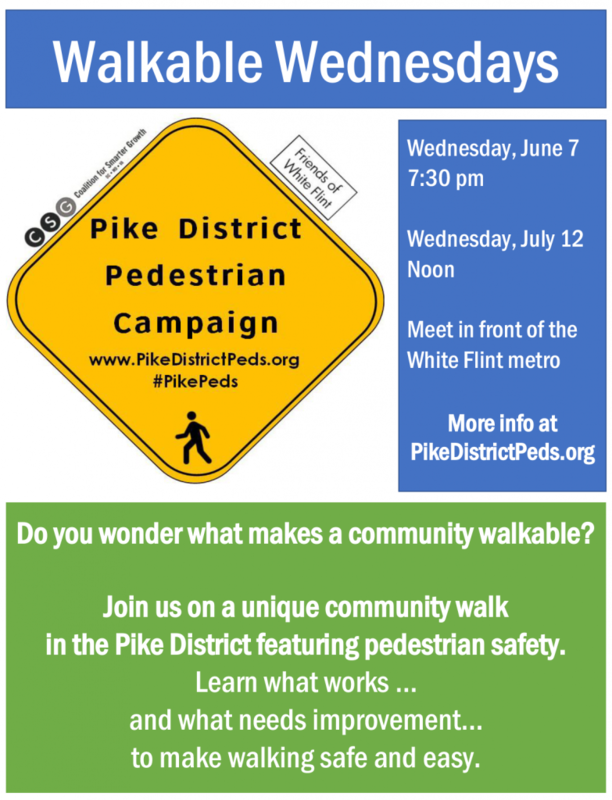 Walkable Wednesday, a tour of the Pike District that discusses what makes it easier and more difficult to walk safely and conveniently. June 7, 7:30 pm. Meet at the White Flint metro station. White Flint 2 Work Session on staging, schools, and zoning. Thursday, June 8 in the late morning. Here’s what the White Flint Downtown Advisory Committee talked about it at is monthly meeting held this week. The committee first took a behind-the-scenes tour of Pike and Rose Phase 2. Here’s a summary of what was discussed at Tuesday’s White Flint Downtown Advisory Committee Meeting. 14 hours, two meetings. Yes, FoWF Executive Director Amy Ginsburg attended both Monday night’s White Flint Implementation Meeting and Tuesday morning’s White Flint Downtown Advisory Committee Meeting so she could let you know what happened at each. First, the White Flint Implementation Meeting. Onto the White Flint Downtown Advisory Committee Meeting. Tom Murphy, the new chairman, led the meeting and recognized the many contributions of the previous chair, Brian Downie. Here is a quick summary of what the members of the White Flint Downtown Advisory Committee discussed at their meeting last Tuesday. The county is updating the restaurant and development maps on www.pikedistrict.org. The county is replanting in the median by Nicholson to replace plants lost over the winter.